Resinall is a technology driven company. Through use of our core strengths in polymer synthesis and process engineering, we are able to explore opportunities which enhance our existing products and expand our business base. Our experienced, scientific professionals use their knowledge and skills to take ideas from development projects to commercial successes. Technical service and market specialists supported by fully capable laboratories are able to provide support to many industrial applications including printing inks, adhesives, rubber additives, coatings, road markings and a wide range of specialty coatings and binders. Our facilities are capable of a wide range of reactions including hydrogenation, esterification, transesterification, amidization, thermal polymerization, addition polymerization and polymer grafting. 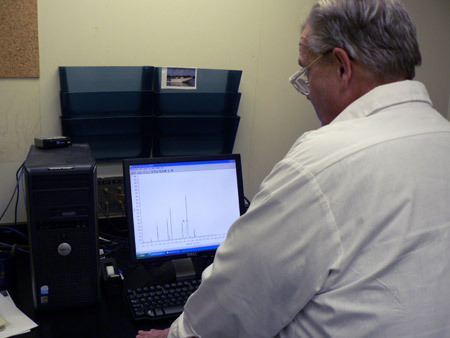 Capacities range from bench scale to 175,000 LB (79 MT) depending on reaction and process requirements. Finished products are available in various solid and solution forms supported with full truck and rail capabilities. We have in inventory a wide range of raw materials including various cyclic and linear diolefins, vinyl aromatics, rosin, fatty acids and vegetable oils, various diacids, polyols, alkyl modified phenols, and a wide range of other standard chemical modifiers. A major factor in our growth is our belief in "customer partnering." Working closely with our customers to understand their unique requirements, allows us to bring the full benefit of our technical and manufacturing expertise to bear on their problem area. This enables us to combine our versatile chemistry, manufacturing equipment and a wide range of raw materials to design a cost effective and often unique product. Unlike many other companies, we are not tied to a specific raw material which allows us to follow the best raw material selection in problem solving. Contact us and let us prove our technical capabilities.